Abstract: Simulation of cracking in concrete is difficult by using traditional numerical method. 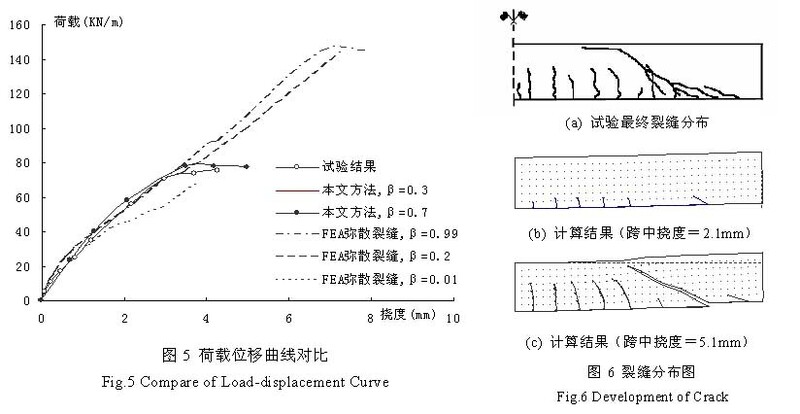 The meshless method is used widely in fracture analysis because no mesh is needed, so it should be able to be applied in the fracture analysis of concrete. In this paper, the cracks in concrete are divided into micro-cracks and macro-cracks. Different crack models are applied for each kind of cracks, respectively. The micro-cracks are represented by the smeared crack model. 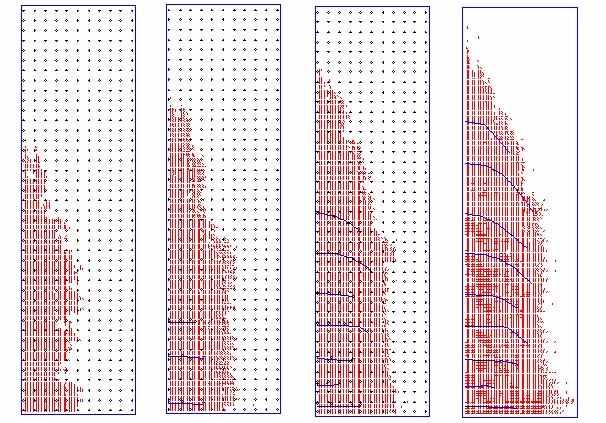 The macro cracks are represented by additional nodes and edges, with the convenience of adjusting node distribution in meshless method. The details on the simulation of macro-cracks¡¯ appearance and propagations are introduced. The numerical example shows that the presented method can obtain the propagation of macro-cracks in concrete, together with the width of the cracks. Some behaviors which are difficult to be obtained for the traditional finite element method can be gotten. Simulate the crack behavior of concrete with meshless method, with the composite crack model based on smeared and dicrete crack approaches.